I’m angry because this isn’t fair. I’m angry because this doesn’t seem just. I’m angry because this isn’t what I signed up for. I’m angry because doors opened and God moved all for this? I’m angry because we obeyed and now we’re hurt. I’m angry because I feel like we deserved a good ending to our yes to Jesus. Gross stuff of the heart, y’all. At the core of it all, there is a part of me that believes in this weird gospel of entitlement mentality. I stepped out in faith. I said yes. I obeyed. Therefore I’m entitled for it to work. I deserve a happy ending. I have a right to it. Because THAT’S written on how many pages of the Bible? I have the best community. Seriously, the best. So many people have been praying for our family and were anxiously waiting for news about the custody decision for Ali’s little sister. When I got the news first thing Monday morning, I sent the first texts with trembling hands. It was so much to process and wrap my brain around. I was dreading telling everyone who was waiting with us…because I knew it would open up a flood of texts, emails, phone calls, conversations…support. I just didn’t know if I was ready for all of that. How silly to think that way. I’m tremendously thankful for the tender words I’ve gotten from everyone, including you: my online community. Some of my very closest friends I have never met face-to-face. The follow up question to my sharing of the news was what I was dreading: “How are you feeling?” I just don’t know. It’s cliché but the best answer: I’m feeling all of the feelings. I actually appreciated the “You doing okay?” question better because it’s more manageable. Yes. I’m doing okay. I will be okay. Then a dear friend (the kind of friend who will just hug you and let you cry) who invited us over for dinner and/or to drop Ali off for dinner so Jason and I could talk—I can’t even express how much that means to me. After the initial shock, the first thing I felt was relief that the waiting was over. We’ve been waiting, putting our lives on hold in some ways, for 8 months. It’s been a long and exhausting fight. The last 10 days of the wait between the trial and the phone call were the most difficult. Then I imagined her current caregiver—who I’ll now just refer to as her mom—getting the phone call at work on Monday morning just like I did. I imagined her weeping with relief and joy that the baby she loves so deeply and has poured her life into the past 7 months is with her for good (most likely…permanent custody is a tricky matter). I felt joy for her. And joy for baby girl who will go about her day just like any other day without any disruption. But the grief and loss of the sibling relationship—a real, living-in-the-same-household-everyday sibling relationship—is intense. I feel the weight of it for my daughter who doesn’t really understand it all yet. She prays at night, “Thank you for baby [Trust] to come here and be with us.” She’s going to keep praying it every night and I’m going to have to keep reminding her everyday that it’s over; she’s not coming here to be live with us. 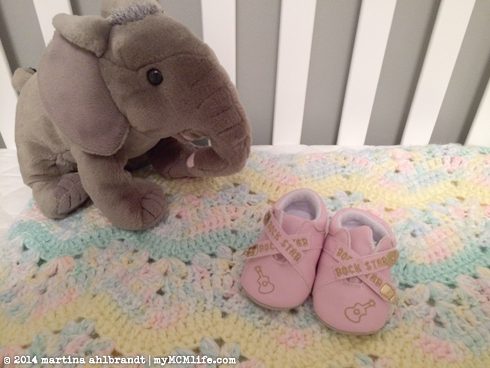 Ali has had so much loss in her life already—both girls have—and I had hoped we could alleviate that one for them. I won’t unpack all of my emotions here but suffice it to say I have disappointment, anger, frustration, confusion, grief, hope, trust, love… and it’s changing by the minute. I know that God has a good plan for our family and for baby Trust. I’ve never doubted that for a minute. I know He could have moved her to us. I believe that one day we’ll look back and it will make more sense. This journey was not all a waste of time, money and energy. I can think of three significant, very personal things that God has taught me through this process. I know our involvement also sped up certain parts of the case that led to faster permanency for baby Trust. And now we have the confidence to look our daughter in the eyes when she asks, “Why didn’t you try to get my sister?” and we can answer her, “We did everything we could do.” When I hold her and dry her tears, I’ll cry too because I’m familiar with sorrow and I’m acquainted with grief, just like the One who holds me now and dries my tears. Whatever may pass, and whatever lies before me, I’ll still be singing when the evening comes. Seven months and 14 days ago she was born. I had been waiting for the announcement, which came the next day. I had already contacted DCS to make sure our contact info was updated in her mom’s file…just in case. Two weeks later I heard that CPS was trying to track her down. I called DCS again. I waited for a call. No call came. A few weeks later, I found out she’d been placed with a friend of her parents, a woman who could care for her. I was relieved but still a bit concerned…what about the family preservation that we, her siblings, her grandmother and her mother all wanted? Another string of phone calls and more waiting. I wrote a letter to her mom and waited. She wrote back with her heart and gave us more numbers to call and an invitation to court. More phone calls. More waiting. We went to court in January but her mom didn’t show up. (The two littlest sisters met for the first and so-far-only time that day.) We filed a petition for custody. Waited a month. Went to our prelim hearing. Waited a month. Went to the next hearing date where the judge review the petitions and case status but didn’t have time for a custody trial with witnesses. Waited a month. Today is the day. The custody trial is this morning bright and early. So much waiting. I hope we finally get our answer today. Baby girl has 4 people who want custody of her—it’s a good problem for a little girl. No matter what happens today, I know she is provided for, loved and wanted. These months of so many small steps with so much waiting in between have been trying. If we get temporary custody it’s only the beginning of a greater journey of many small steps and so much waiting. It’s worth it. I will wait. I will wait for you. If I were you I’d be really mad at me. Actually, I was in an eerily similar situation a while back and I was quite mad at the other potential-other mother who didn’t seem to care about my heart. But as far as I can tell and you’ve said, you’re not mad. That means a lot, because I really didn’t go into this to make any enemies. You said you’re not mad, just hurt. I can imagine the hurt. I really, really can imagine. In fact, so many times we’ve almost walked away for that reason. At the very beginning I told myself that as long as we knew baby sister was safe, we wouldn’t fight for her. We’d leave it alone and walk away. There were several weeks of uncertainty between her birth announcement and learning about her whereabouts. We prayed hard for her every single day—that she would be safe and loved—and we still do. Even after I had a general idea of her location, I still wasn’t sure if she was safe and loved. That has always been the primary concern. Once I knew that was true, a huge weight was lifted. Our prayers were answered. I am so grateful for you. You’ve given her the love and protection she needs and deserves. You are invaluable part of baby sister’s story. I took a step back until I heard from her mother through a letter, the first contact we had in almost 2 years. I had written to her to let her know we were willing to be baby sister’s home, her parents (temporarily or forever), so that she could be with her sister. She wrote back with her blessing and the contact info of people to call to pursue that end. We felt like it was the nudge we needed to start fighting for the secondary concern: family preservation. We’re passionate about foster care and adoption. I believe that love makes a family. Family is more than just blood. (As an adoptee, I know you know this well.) My husband, my daughter and I don’t share any DNA. I know that I can love and care for a child that didn’t come from my womb and doesn’t share my biology. When we initially approached foster care and adoption we didn’t plan to get involved with our future kid’s biological family. When we fell in love with our girl, our hearts started opening up more and more to her biological family in ways we didn’t expect. I have a deep love and respect for her first mother—the one who carried her for nine months, who chose to give her life, who wanted to parent her and then ultimately wanted better for her than she believed she could offer. Adoption can leave a lot of unanswered questions about family and what it means. I don’t have all of the answers but I know that there are connections I wouldn’t dare severe, bridges that belong to my daughter and are not mine to burn. She came to my home with a history that involved a different family—a biological mother, another grandmother, three older sisters and a brother—family that’s connected by blood. We’ve chosen to make her family, our family—her people, our people. I believe that you could do the same. You could join with baby sister as part of this broken, patched together, rag-tag family. I believe, as I have from the very beginning, that her love and safety is the first priority. You’ve given her that and I’m thankful. Family preservation is the next priority. For whatever reason, it wasn’t considered from the very beginning. There were several placement options for baby sister that would have accomplished both priorities. We feel that we can meet both of those priorities. We did everything in our power to be considered as her placement since before she was removed from her parents’ custody—even before she was born. I hate that it’s taken so long for anyone (CPS, DCS, legal system) to even seriously consider us as her long-term placement. I hate it because I know how badly it’ll hurt you both to be separated after spending this long together as mother and daughter. It breaks my heart to know that it will break your heart if the judge decides it is in her best interest to move with us for the sake of family preservation. I want you to know that I don’t take that lightly. That said, I still believe she belongs with her sister if it’s possible. It’s hard to put into words, but I’ve loved baby sister since before she was born—all because of my love for my daughter. I don’t know her the way you know her but I care deeply about her. The decision is out of my hands now and we wait as patiently as possible for the judge’s word. If this doesn’t go how I want it, I want you to know that I have nothing but gratitude in my heart for you. I pray that we can keep in touch for the sake of the six siblings. And if this doesn’t go how you want it, I want you to know that I have nothing but gratitude in my heart for you. You will always be an invaluable part of baby sister’s story and I hope we can stay in touch for the sake of you both. 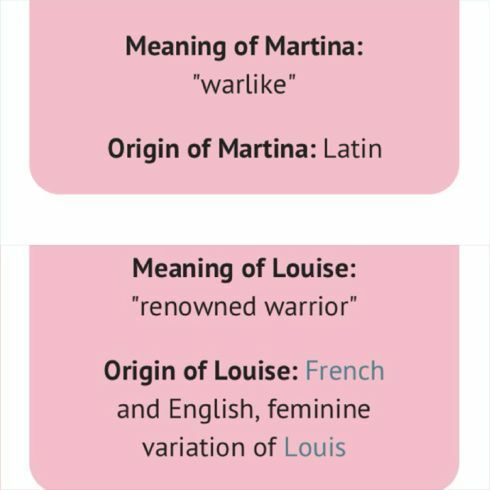 My parents named me Martina Louise. My first name means “warlike” and my middle name means “renowned warrior.” Most people who know me wouldn’t think of me as a fighter. 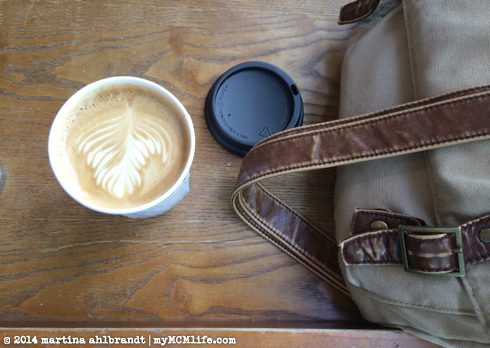 My husband might disagree… But here we are and this is our life. We had to fight for our daughter Alianna. 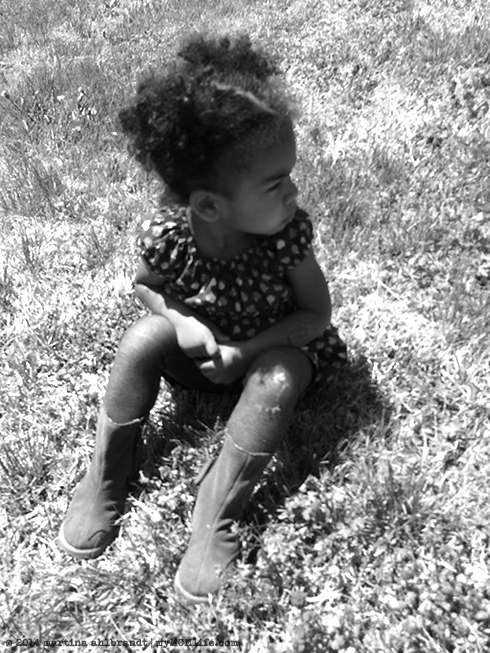 Her placement with us through foster care was simple but her custody and subsequent adoption were far from easy. We fought for her like we’ve never fought for anything else before. Two and a half years later we find ourselves in a bizarre but not-so-different situation fighting for her half-sister. I can’t and won’t say much about the case in this public platform because it’s sensitive legally and we want to be respectful to all of the other parties involved. In short: if she cannot be with either of her biological parents—which is and has been the case since shortly after her birth—we believe (and DCS policy supports) that the next best option for a child is to be with siblings whenever possible. I believe that we are supposed to advocate for her and her best interests. I will fight for her and I won’t stop fighting for her. As much as I want to keep quiet about this case, I also want to solicite the prayers of our friends. Please pray with us that whatever is best for baby Trust* would be done and soon—she’s already 6 months old! (We’ve been trying to get her placed with us since before she was born.) We have court next Tuesday March 11 at 1 pm, which involves a progress report trial for her biological parents and our petition for temporary custody. Do you remember this story? One year ago tomorrow, a miracle happened while were in court feeling hopeless, thinking that we were about to say goodbye to our sweet baby girl after two months of fostering and falling in love with her. But, to our surprise she was taken out of state custody and put back into our arms so we could become her forever parents! We are so blessed, so thankful that we get to be this precious little girl’s parents!